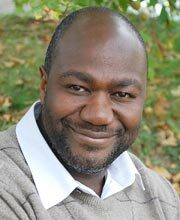 You are currently browsing articles tagged Dr Chukwumerije Okereke. Nigeria, like many other African countries, is fast recognizing the advantages of a green economy that generates growth and improvements in people’s lives while reducing environmental risks and ecological scarcities. There are several policy documents, and initiatives indicate a willingness to pursue their development goals in ways that leverage the opportunities for green economy transition. Nigeria’s long-term development blueprint, Vision 2020, intends that by 2020, the country will have a strong, diversified, sustainable and competitive economy that effectively harnesses the talents and energies of its people and responsibly exploits its natural endowments to guarantee a high standard of living and quality of life to its citizens. Following the Paris Agreement on Climate Change, Nigeria has submitted a Nationally Determined Contribution (NDC) which commits the country to 45% reduction of greenhouse gas emissions by 2030. The policies and measures aimed at delivering this reduction include improving energy efficiency, forest conservation, rural electrification, and putting an end to gas flaring. There is also an ambitious commitment to achieve 35,500 MW of energy by 2030 from renewable energy sources. However, despite all these laudable goals, huge gaps exist in the form of the capacity and skills needed to realise these stated ambitions and commitments. Indeed many scholars and practitioners have identified lack of or limited capacity as one of the critical barriers hindering the transition to green growth in Africa. As a measure to kick-start a more systematic identification of existing and additional capacities to achieve Nigeria’s green growth aspirations, the University of Reading, UK under the Global Challenges Research Fund, sponsored a highly interactive consultative workshop titled “Capacity Gap Assessment for Green Economy Transition in Africa: Case Study of Nigeria.” The project leader was Chukwumerije Okereke, Professor of Environment and Development at the Department of Geography and Environmental Science and Associate Director of Reading University Centre on Climate and Justice. 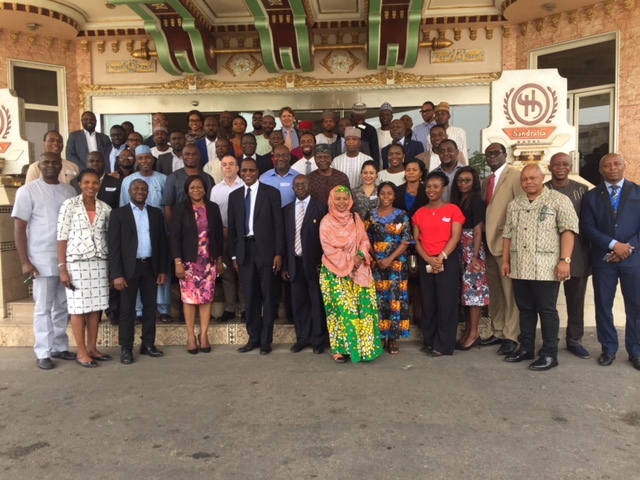 The workshop which held at Federal Capacity Territory in Abuja Sandralia Hotel in Abuja and drew a total of 53 technical officers from public and private sectors, and civil societies. Representatives from the donor community such as the European Union and GIZ were also in attendance. The Nigerian workshop was the second of this kind of workshop, the first having been held in Nairobi Kenya on March 12, 2018. 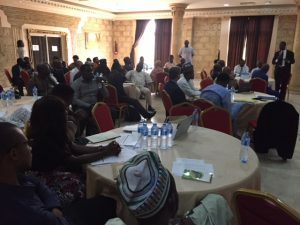 The workshop in Nigeria created an avenue for a structured reflection and group discussion over the historical and current green growth policy making and low carbon projects implementation with a focus on human and technical capacity. 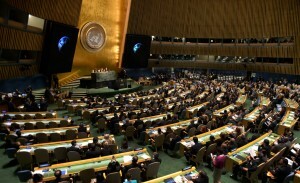 The focus was on six sectors including Agriculture, Transport, Forestry, Energy, Industry, and Sustainable Cities. 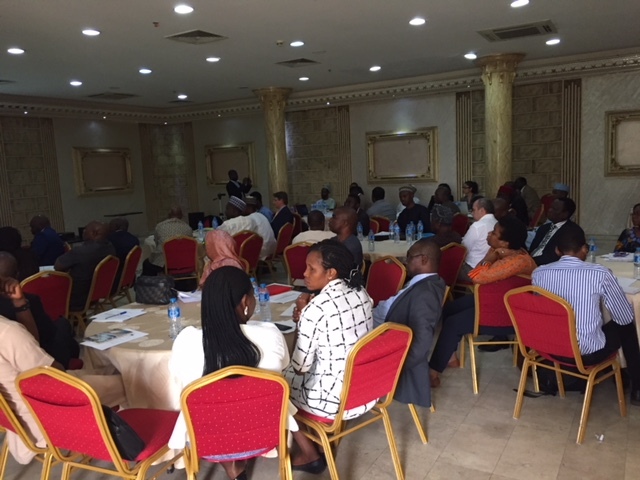 At the workshop, participants agreed that Nigeria’s economy development pathways were undergoing rapid modifications in line with the global commitment to low carbon development. It was however also noted that Nigeria’s ability to maximally benefit from the opportunities offered by green growth is being constrained by limited by capacity gaps at institutional, organisational and individual levels. 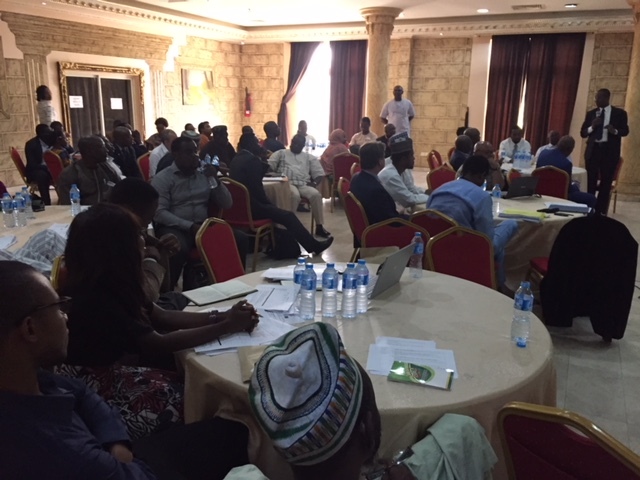 Some of the critical gaps identified during the workshop relate to policy formulation, stakeholder engagement, emission accounting, financial management, mainstreaming, mini-grid design, energy auditing, impact assessment, solar PVC installation, and monitoring and evaluation. Some of the key barriers identified include weak legal and policy frameworks, institutional fragmentation, lack of policy continuity, and low private sector participation. Participants stressed the need for a much more comprehensive green capacity auditing followed with clear targets, an ambitious programme with adequate incentives to close the gaps. The need for stronger partnership between academia, the government and private sectors in the pursuit of green innovation was also stressed. As green skills deployed to undertake green jobs is a critical plank in the green growth transition, it was emphasised that Nigeria should aim to create “an army” of green workers proficient in the wide-ranging set of skills needed to enable the country meet its target of attaining a sustainable economic vision. 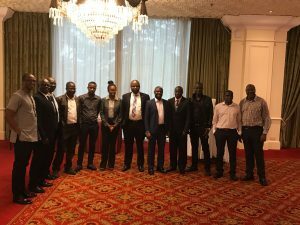 Researchers from the University of Reading in the UK held a fruitful and stimulating workshop on “capacity needs assessment for green economy transition in Africa” at Nairobi Kenya on March 12, 2018. 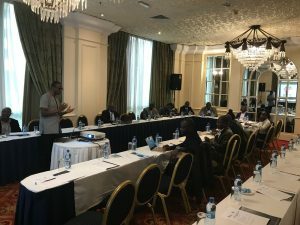 The workshop which held in the Hilton hotel was attended by academics from the University of Nairobi and technical officers from public and private sectors, as well as civil societies organizations that are involved in planning and implementing green growth initiatives in Kenya. The workshop was funded by the University of Reading UK under the Global Research Strategic Fund. 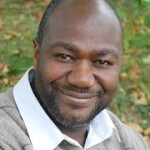 The Project is led by Professor Chukwumerije Okereke who is from the Department of Geography and Environmental Science and Associate Director of Reading University Center for Climate and Justice with contributions from Scientists from Oxford Brookes University and African Technology Policy Studies in Nairobi. The workshop featured presentations, survey questionnaire completion, focus groups and structured reflection over green growth policymaking and implementation in Kenya with a focus on human and technical capacity. 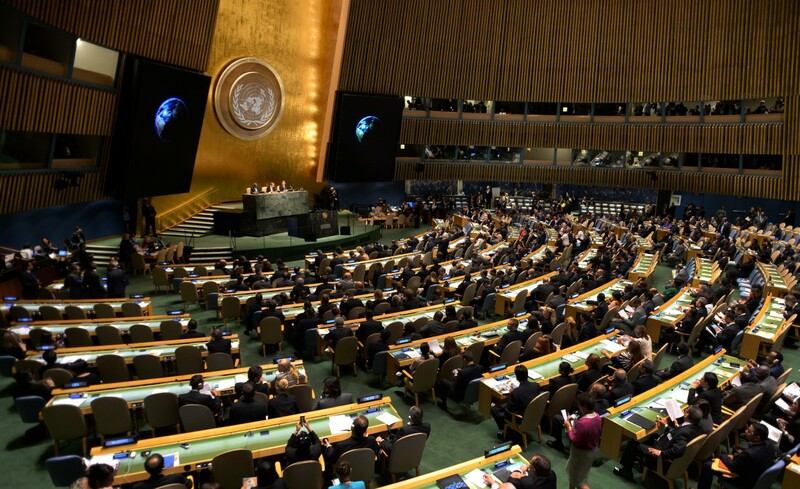 The adoption of the 2030 Agenda for Sustainable Development and African Agenda 2063 in 2015 by African Governments had come against a backdrop of rising economy in many African countries. However, despite notable gains in recent years, economic growth has not translated into reduction in poverty and inequality. At the same time, it is widely recognized that the current reliance on finite natural resource extraction to power African economic development is unsustainable in the long run. Moreover, Africa’s economic development is being hampered by climate change with its negative impact on food production and extra cost imposed on infrastructural development. Hence business-as-usual models of growth is no longer a viable option for Africa in the face of growing environmental scarcities, economic uncertainty, and widespread poverty. Green growth is a recent global phenomenon and much-lauded pathway for achieving economic transformation, climate resilience, and inclusive, sustainable development. Green growth is a relatively new approach for policymakers and businesses in Africa. While there are a few notable promising steps, African countries are mostly yet to understand and exploit the various opportunities for developing the green economy across the scale from national, through the regional level. Scholars and policymakers alike have regularly asserted that lack of or limited capacity is a significant barrier hindering the transition to green growth in Kenya and Africa more broadly. However, there is insufficient understanding of the range of skills (both indigenous and external) that is needed to achieve green economy transition in Africa. For example, Kenya’s long-term development blueprint, Vision 2030, seeks to transform the country into an industrializing, middle-income country that offers a high quality of life to all people in a clean and secure environment by 2030. Kenya aims to increase annual GDP growth rates to 10% and to maintain that average till 2030. Key programs include the massive development of solar, geothermal energy, increased mechanization of agriculture, green industrialization and innovation, and better monitoring of forests to enhance biological conversation and diversity. However, like most other African countries there is limited capacity to transform this grand visions into reality. A principal rationale for the workshop is that a critical condition for improving capacity is to generate a clear and robust framework that can help policymakers and other stakeholders to assess their capacity needs systematically. In the workshop, the participants were presented with an analytical framework for green growth transition which is being developed by Professor Okereke and his research team. The analytical framework which is adapted from the UNDP’s generic model identifies five functional capacity areas needed for green growth transitioning in Africa and more broadly. These include strategy and policy formulation, project design and implementation, stakeholder engagement, financial management, and monitoring and evaluation. Participants were invited to rank the capacity strengths and needs of their sectors based on the above five functional capacity areas. Their rankings were subsequently discussed alongside in-depth deliberation on what can be done to accelerate capacity building and mobilization for green transitioning in Africa. A similar workshop is planned in Abuja Nigeria on March 26 after which the results will be collated and published in a short report. It is hoped that the project will result in the development of a green capacity template that will improve national green capacity auditing and assessment in sub-Saharan Africa.